The emails below were sent on 17.1.2019 to 76 VPHA contributors and 66 prospective contributors. The VPHA status update below was just submitted to all VPHA contributors <attachment and hyperlinks removed>. As you can read, we are planning to activate VPHA in 2019 again. We will start with poster presentations related to the doctoral thesis list gathered. New contributors are welcome to join the VPHA activities. You are most welcome to join, and you can ask your ALD-informed colleague to join, too. Best wishes for you all for 2019! In 2018, the prestigious Millennium Technology Prize was awarded for ALD and (some) learnings from VPHA were summarized in an invited conference presentation - slides & proceedings in ECSarXiv. Year 2019 is planned to be the year when VPHA will be finalized. To get active with VPHA again, we are planning abstracts for poster presentation to the two ALD conferences to come (Baltic ALD and the AVS ALD conference), related to the ALD thesis list that we have jointly been collecting. We would have the coauthor list, addresses and contents checked by Jan 20, if possible, see the action items below. Another planned item is to prepare for to write a brief final review on ALD. This is recognized to be a highly complex, but important task. The framework needs to be agreed upon before we actually (make the decision to) start the work. We will get back to this item later. This VPHA status update shares - see below - more information on the abstracts. 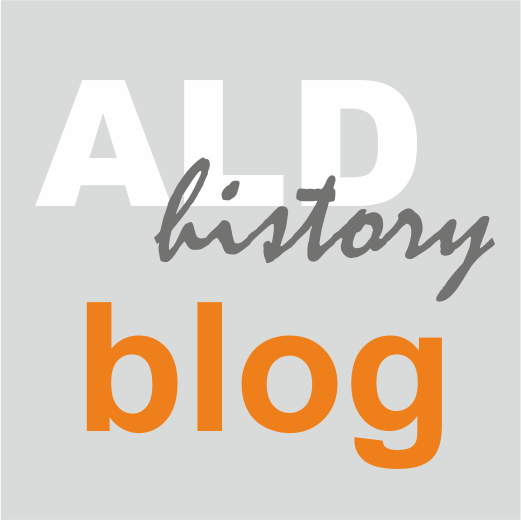 Also, you find below a link to how the Molecular Layering was described in the Millennium Prize nomination letter (ALD History Blog post 31.12.2018), and links to other posts in ALD History Blog published after the previous VPHA status update on 22.7.2018. We are looking forward to finalizing the VPHA in 2019 in a large international collaboration. To get active with VPHA again, we are planning abstracts for poster presentation to the two ALD conferences to come (Baltic ALD and the AVS ALD 2019 conference), related to the ALD thesis list that we have jointly been collecting. Deadlines for abstract submissions are already Jan 21 and Feb 15, respectively. Especially the deadline for the Baltic ALD conference is very close. The abstract drafted for the Baltic ALD conference, the first of the two conferences, is attached for your reference. The abstract is very concise and to the point, as the contributor list of VPHA is long and the names take most space. You can compare it e.g. to the abstract of the Baltic ALD 2014 conference, here. Authorship is planned to be as with the VPHA review published in 2017, with all VPHA contributors as authors by default, in alphabetical order. · If a VPHA contributor wishes to be rather in the Acknowledgements than in the author list of the poster abstract, please let us know you replying to this message (for clarity, cc info at vph-ald.com). · Everyone: please check your affiliation. If changes are needed, please let us know by email (reply to this email and for clarity cc info at vph-ald.com). You can also indicate the new address here (it is Google Docs with commenting function). · As the drafted abstract text is so simple, short and factual, we expect that the content is acceptable by all coauthors. Would you nevertheless have comments related to the contents, please write them directly here (it is Google Docs with commenting function). Please write the comment latest on January 20 (preferably earlier) and include your name with the comment. We know that time is tight, but if possible, we would like to submit an abstract to Baltic ALD already. Often, the conference submission deadlines are postponed at the end - would this happen this time, that would make our work preparing the abstract easier.